This country has seen a lot of housing development in the last decade or so. The people have become more prosperous and housing loans have become easier to get. 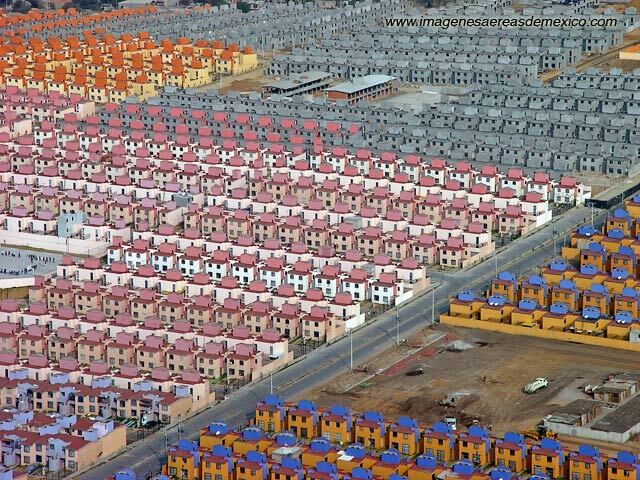 New townships have sprung up. 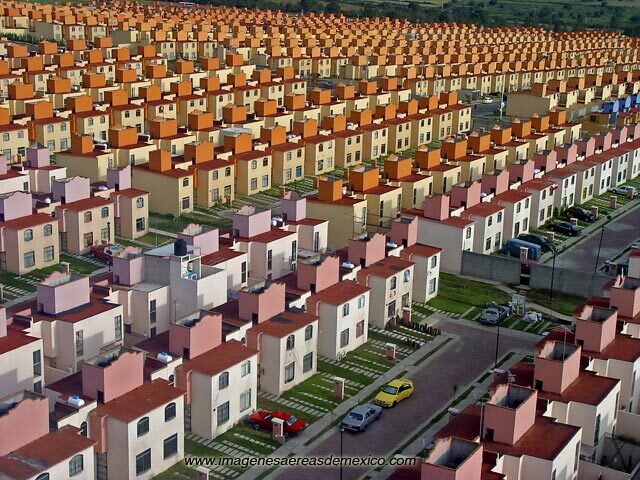 The houses are to a certain extent similar to those in Malaysia, halfway around the world. 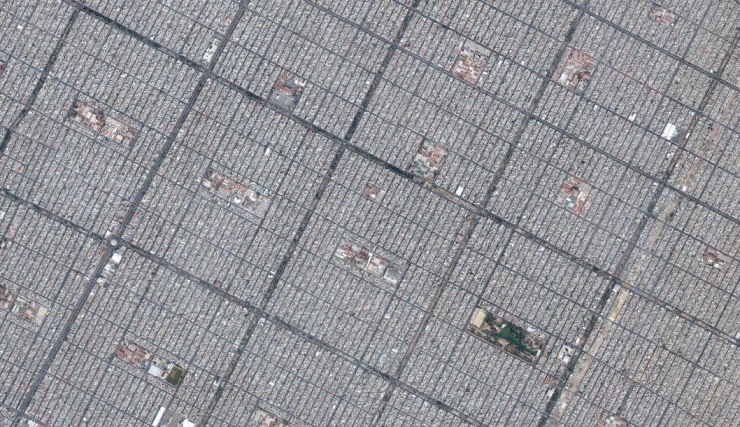 But there grid layouts are striking in scale. But look at Nezahualcoyotl. The Deputy Dog blog calls it “The Frightening Grid”. 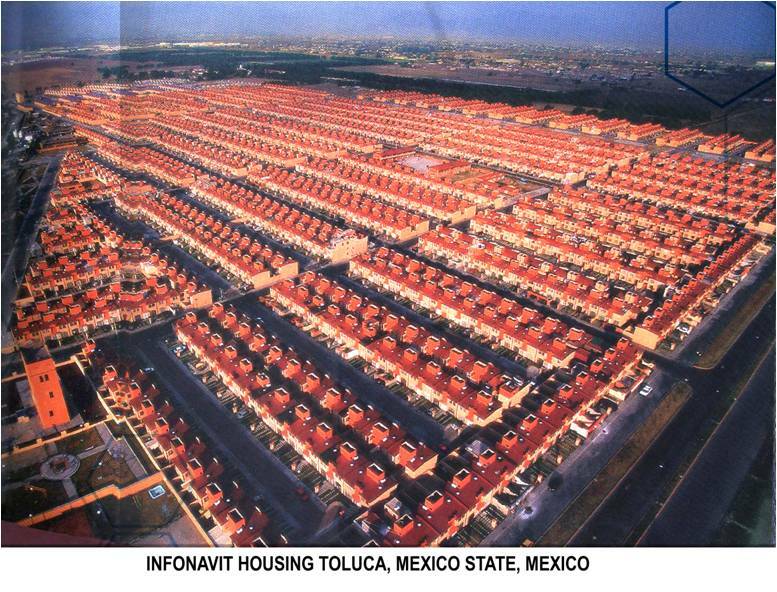 There is a little bit of 'grid versus cul-de-sac' battle in the US. I find the entrenched ideological positions a bit hard to understand. A more important issue is monotony and scale. 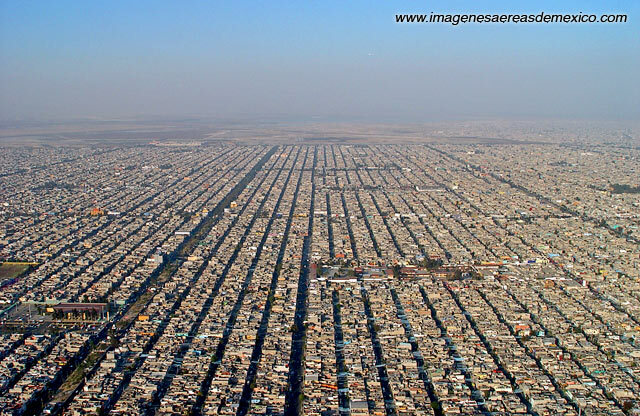 Both cul-de-sac and grid layouts fail when they are blown up to an inhumane extent. 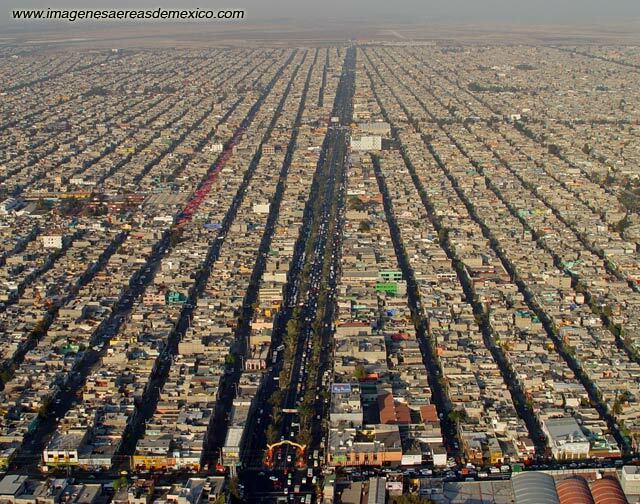 But there does seem to be a lot of towns built to the iron grid in Mexico. Does anyone know why? I will not approve on it. I over nice post. Expressly the appellation attracted me to be familiar with the unscathed story.